Our fall birds are returning to the backyard. 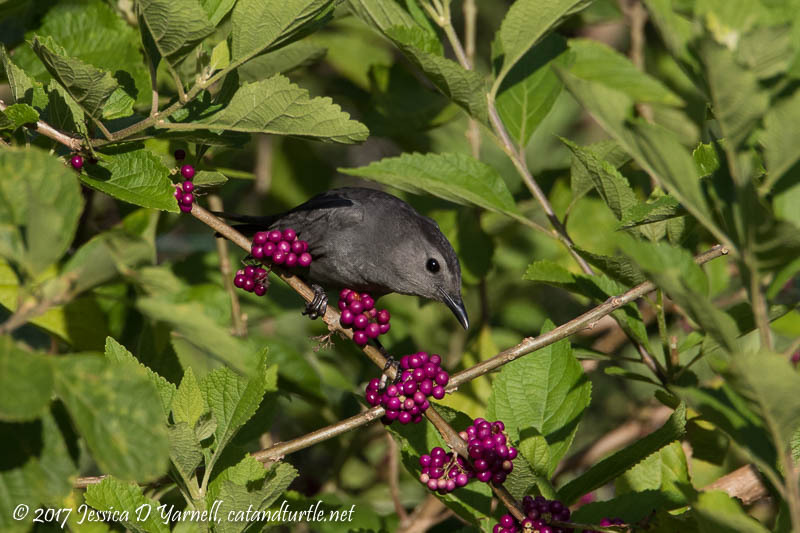 Gray Catbirds, Palm Warblers, and Painted Buntings are here to stay. The American Redstarts are just passing through! Meet the Ruby-throated Hummingbirds who have made our backyard their home since the passage of Hurricane Irma. A cold front blew in migrant birds to Fort De Soto yesterday – lots of Bay-breasted Warblers, Indigo Buntings, tanagers, grosbeaks, and more! Backyard birding is best in early April – Ruby-throated Hummingbirds, warblers, Painted Buntings, a juvenile dove (already! ), and a hilarious Brown Thrasher photobomb! Photos of a migrant hummingbird nectaring on coral honeysuckle. A beautiful Ruby-throated Hummingbird with a gorgeous red throat! Hummingbirds in my Own Backyard! Ruby-throated Hummingbirds at Fort De Soto! A tiny Ruby-throated Hummingbird at Fort De Soto let me photograph him as he re-fueled on his long migration journey. My mom’s hummingbird posed for me and my camera, striking a pose on a nice branch and cooperatively sitting on her favorite perch. Ruby-throated Hummingbirds in my Own Backyard! After years of gardening to attract hummingbirds, I have at least two juvenile Ruby-throated Hummingbirds in my yard this summer!